Description: The hit series follows the Thornberry family as they travel the world in their Communications Vehicle (or CommVee) looking for rare animals to film.After an encounter with an African shaman, their youngest child Eliza was given the power to speak to animals! 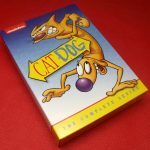 Every episode in this adventure-packed DVD set follows Eliza as she comes face-to-face with an assortment of animals, continents and danger. Encounter wildlife in all its natural glory and eavesdrop on Eliza’s conversations with silverback gorillas, pythons, crested grebes, tapirs, capybaras, antelopes and opossums while the CommVee travels on! 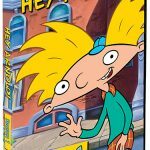 I was excited to see that this classic Nickelodeon show is now available. 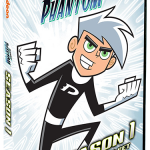 It brings back so many memories and the episodes look much better on this dvd than they do on my old vhs tapes. 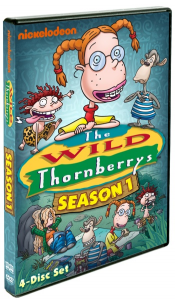 The Wild Thornberrys were originally seen on TV in 1999. This was about the same time that my guys were watching Rug Rats, but The Wild Thornberrys seemed more “grown up” to them. The show is definitely kid-friendly, but there is actually some educational information along with the silly fun. My mom instincts make me concerned that these negligent parents leave their kids unsupervised in dangerous areas, but things always work out well for the Thornberry family. It’s definitely fun for kids to imagine that they could talk to animals and have fun adventures like Eliza. The Wild Thornberrys was fun when we watched it back in the day and it’s still fun. Yes, I enjoyed watching the 7 1/2 hours of programming on this 4 disc set! 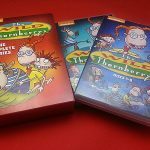 WHERE TO BUY – The Wild Thornberrys is available at a discount on Amazon.